Former Manchester City and Barcelona midfielder Yaya Toure has rejoined Olympiakos - 12 years after making his mark in Europe with the Greek Super League club. The 35-year-old Ivory Coast international played for the Piraeus-based side during the 2005-2006 season, scoring three goals in 20 matches. He then joined Monaco, before moving on to Barcelona between 2007 and 2010. 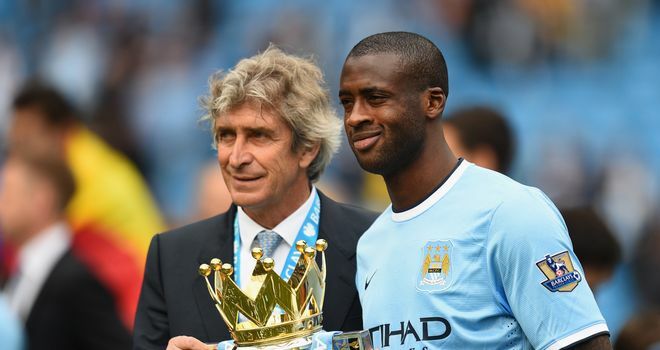 After their Gulf-based owners injected huge funds into Manchester City, Toure was one of the key signings who helped the club win three Premier League titles in seven seasons. He played 230 matches for City, scoring 59 goals, but was released at the end of last season after another title triumph. Toure is now back with Olympiakos, although the club have not released any financial details or the duration of the contract. Toure wrote on his website: "It is an honour to be back at Olympiakos! "When I left in 2006 I said I would come back and I am delighted to keep my word. I had offers from lots of clubs across Europe, Asia and the USA. "I am as hungry for success now as I was when I first arrived here many years ago and I cannot wait to help the club win the trophies the great fans of Olympiakos deserve.